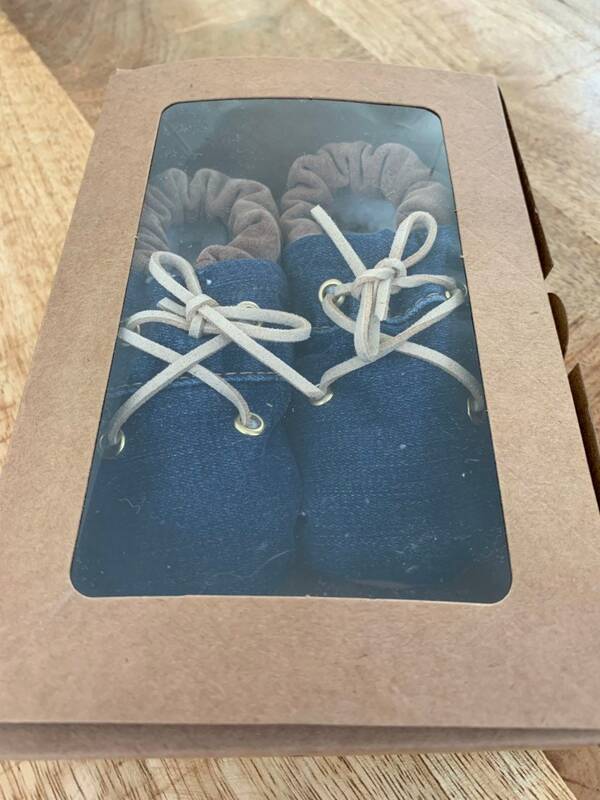 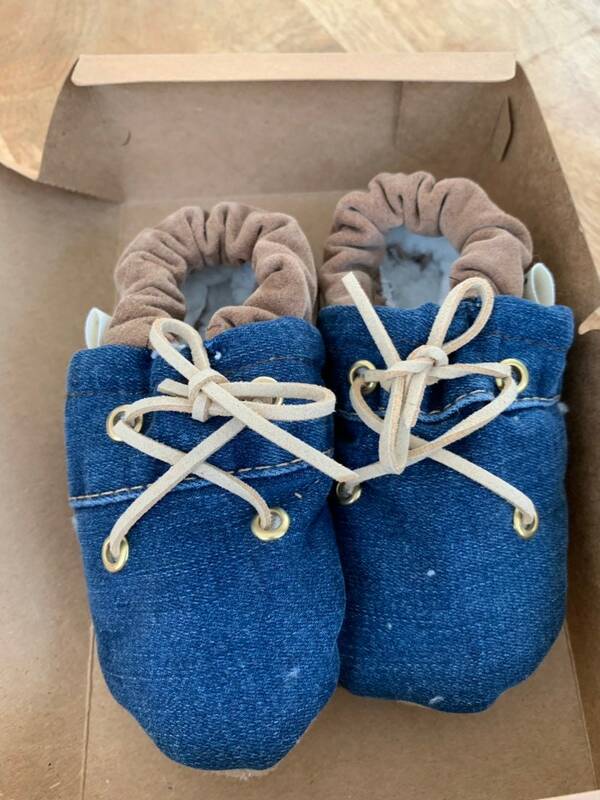 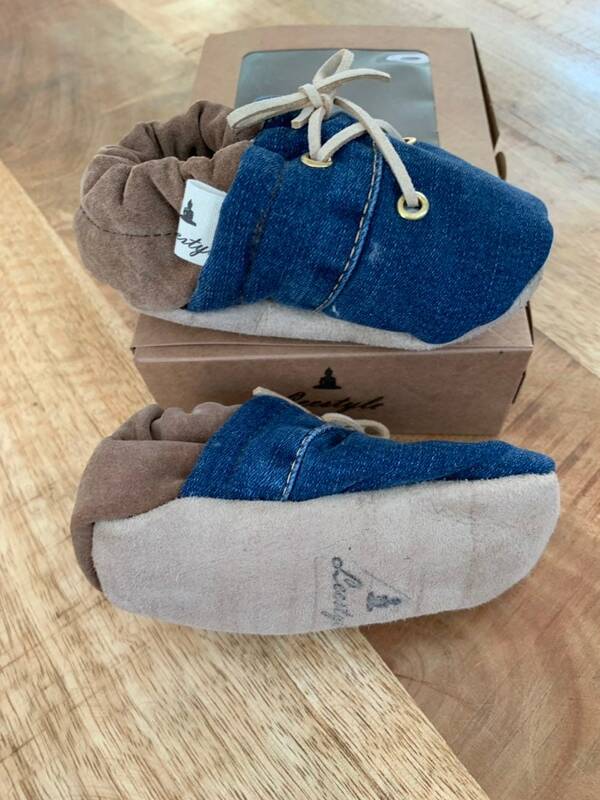 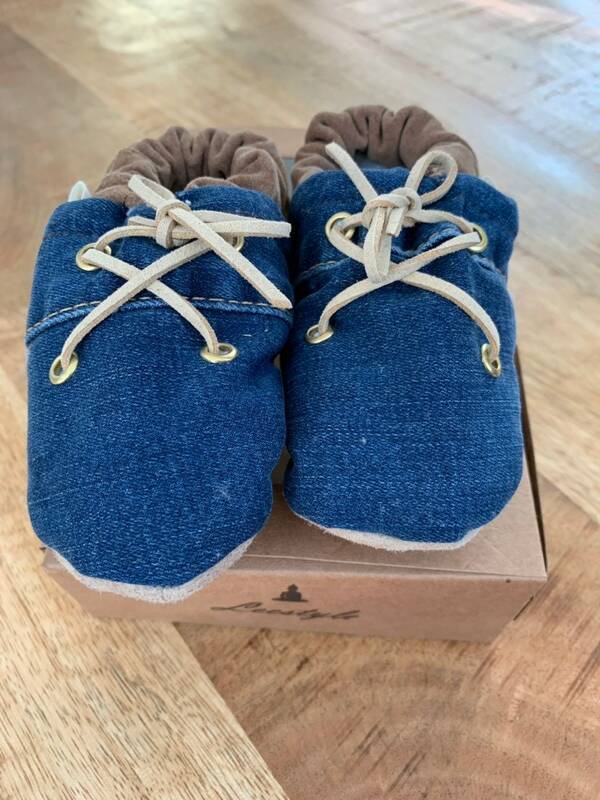 These are brown leather baby slippers/shoes with blue jeans. 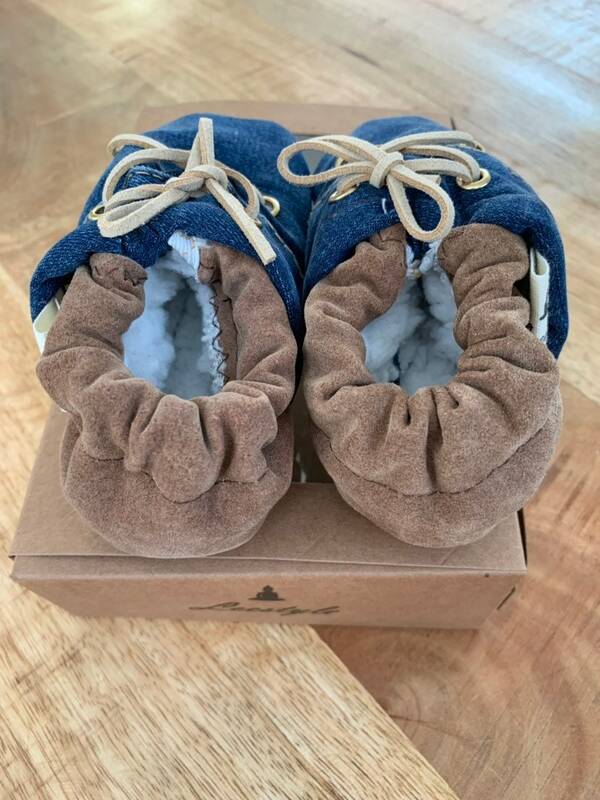 The slippers are lined with a teddy fabric that makes it extra warm. 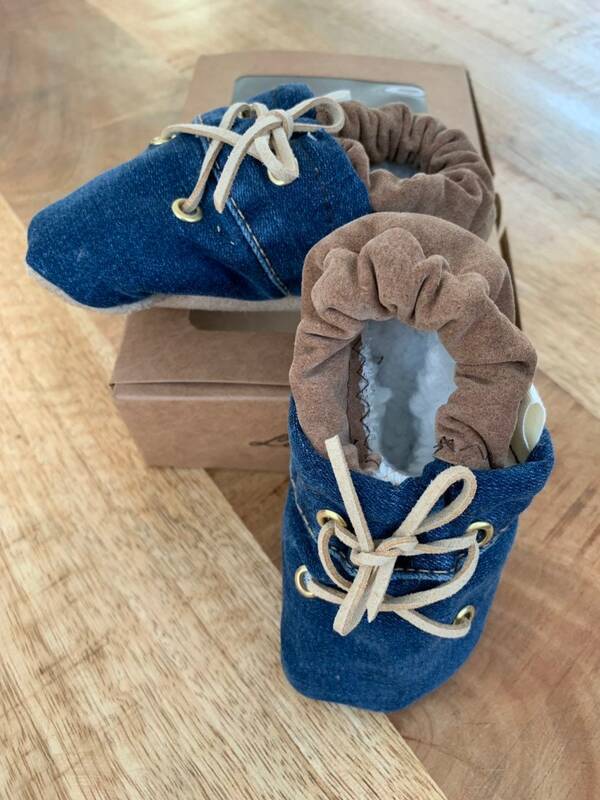 The slippers are decorated with suede laces.